There are currently 33,726 users on this website. Just went through a roll of 1949 cents. I picked out 2 of this variety. So my question is this...does this variety even carry a premium? 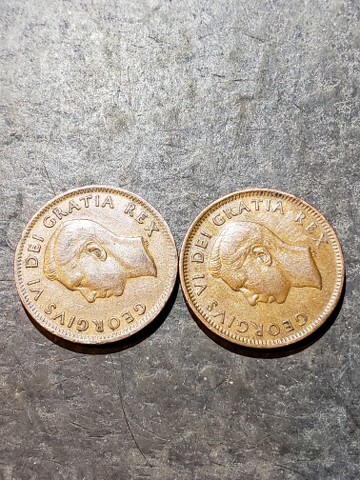 Looking at the Coins/Canada site I see higher values than what I see market value on ebay. I do know the the Canada website values are in Canadian dollars. Yes, there is a premium for the A to Denticle. Value of course depends on grade. Notice you have two of them. Very nice finds for an American, I only have one, see my avatar. Where and how did you find them? I picked up a 15lb lot of foreign coins. The dealer added 22 rolls of George VI cents when I asked for any George V cents laying around. I had previously picked up a complete George V set (1920-1936) from him. I wanted more! So I ended up with solid rolls from 1940 to 1951. Only one roll of 49's. I wanted some 30's but no luck. Anything else cool to look for? If you have a roll of 1948 cents, there are three more varieties to look for. The two that are the same as the 1949 plus an 'A' points to small Denticle. This is the more valuable one. Found "4" of the 1948 variety too. What is a reasonable price for these? I am consolidating my collection. These will go up for sale on here soon. You won't get rich with circulated Geo VI cents. They are common and have been hoarded for more than 50 years ( I know because I'm one of the hoarders). 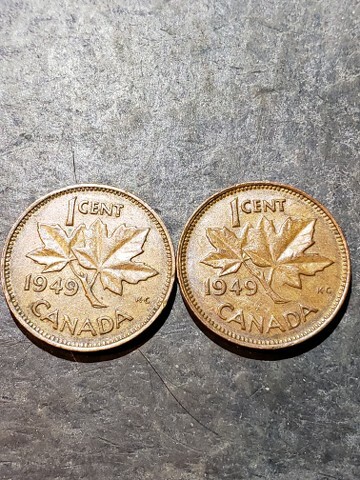 I sell rolls (no damaged/corroded coins) for $2 Cdn, including both 1948's. 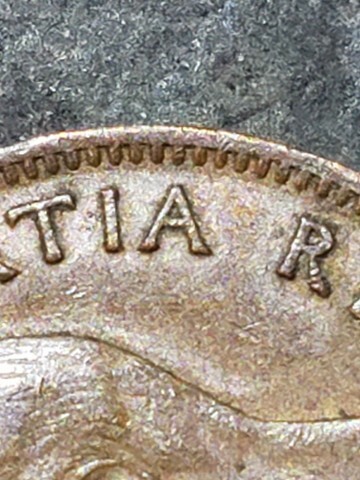 The 1949 A to denticle variety carries a premium because it is only on about 2% of the coins made. Your 2 coins look to be in VF+ condition. I have sold several of this grade on ebay for around $5. 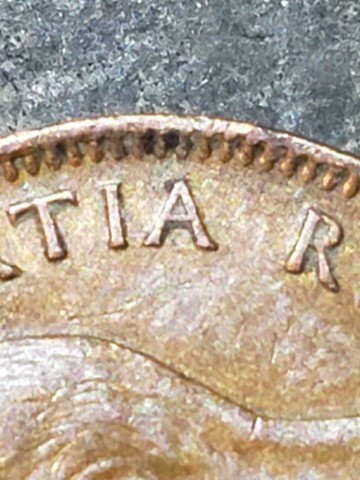 For the 1948's, the A to and A off large denticle are closer to 50% each. The A to small denticle is harder to find than the other 2 but there is not much demand. I tried selling the 3 varieties (F and VF) together and had little interest and sold them for $3.